Syria’s army and allied forces advanced inside Palmyra on Thursday after the Islamic State terror group pulled most of its forces back from positions inside the ancient desert city, a war monitor reported. The Syrian army, backed by Russia’s air force and Shiite militias supported by Iran, is attempting to capture Palmyra for the second time in a year from Islamic State, which took it in a surprise advance in December, only months after losing it. The army entered Palmyra’s western districts and took its hilltop citadel, and on Thursday conducted combing operations inside the city to clear mines, the Syrian Observatory for Human Rights, a Britain-based war monitor, said. Syrian state media reported on Thursday that the army had control over the al-Tar hill northwest of Palmyra. During Islamic State’s first occupation of the city, it destroyed some of Palmyra’s priceless archaeological heritage and it is also believed to have razed other parts of the historical ruins since regaining control of them in December. Despite having recaptured Palmyra in December, Islamic State is on the back foot in Syria after losing swaths of territory in the north of the country to an alliance of U.S.-backed, Kurdish-led militias, and to Turkey-backed Syrian rebels. The Syrian army is also fighting Islamic State in the area east of Aleppo, where it is pushing to reach the Euphrates River, and in the city of Deir al-Zor, where it controls an enclave that is besieged by the terror group. 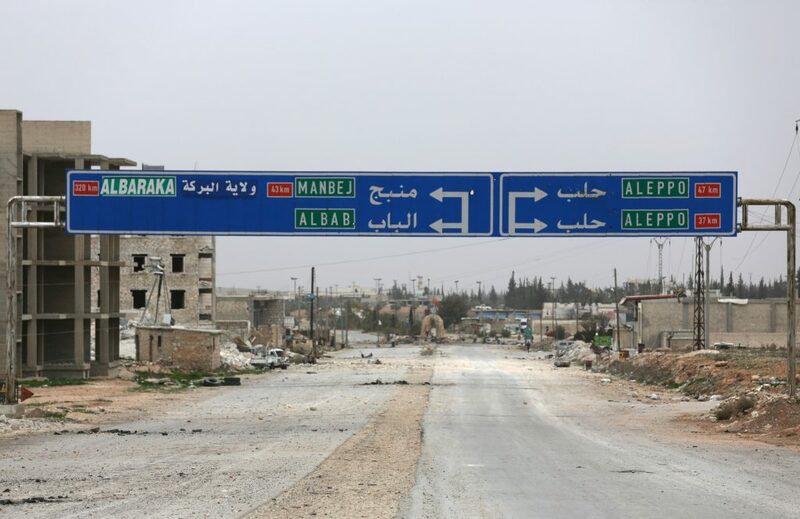 Meanwhile, villages controlled by the Manbij Military Council will be handed to the Syrian government in the coming days under a deal agreed with Russia, an official from the council said on Thursday. The Manbij Military Council is part of the Syrian Democratic Forces (SDF), a group of U.S.-allied militias including the powerful Kurdish YPG, which is fighting against Islamic State group but is regarded by Turkey as a terror organization.